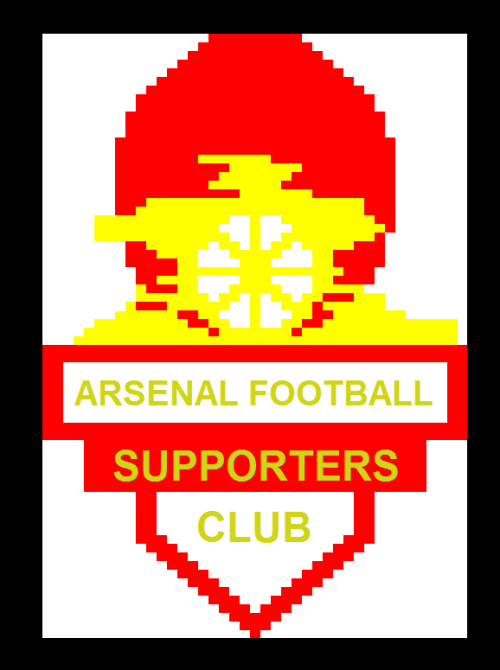 Well, not quite an Arsenal badge but an Arsenal Football Supporters’ Club badge. I’ve recently been buying copies of football’s oldest fanzine – Gunflash. 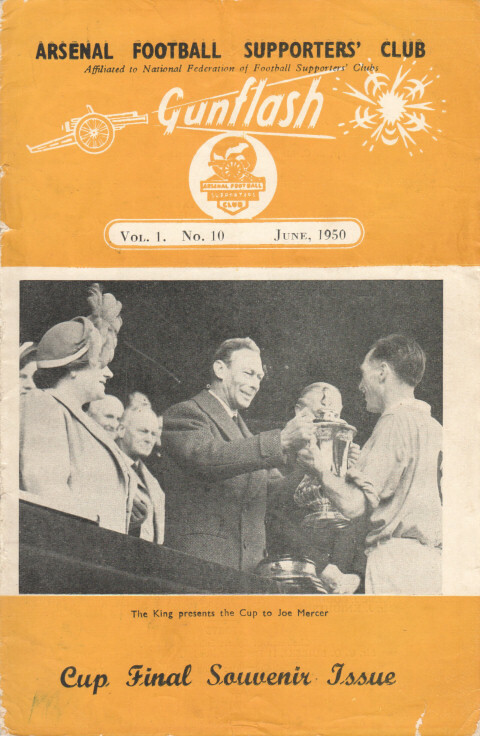 It has been going for more than 65 years having started in September 1949 by the Arsenal Football Supporters Club. The content of these publications is nothing short of fantastic: exclusive photographs, contributions from top journalists of the day, historical articles and a fascinating insight into Arsenal fans of yesteryear. And then there were the odd quirky items. 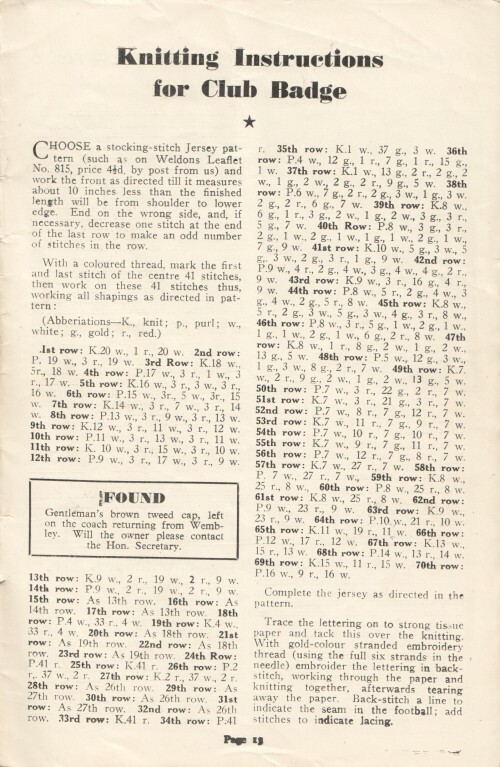 The Cup Final Souvenir Issue of June 1950 edition included a pattern to knit your own Arsenal badge. Along with @AFSCLondon, we managed to work out that it was supposed to be the Arsenal Football Supporters badge, rather than the badge worn on the shirts of the players in the 1950 FA Cup Final. I was then asked to make a more legible copy of the pattern available by @akersley as she wanted to actually knit one. So, here it is. We hope to bring you some more interesting articles from the back issues with the co-operation of the AFSC. 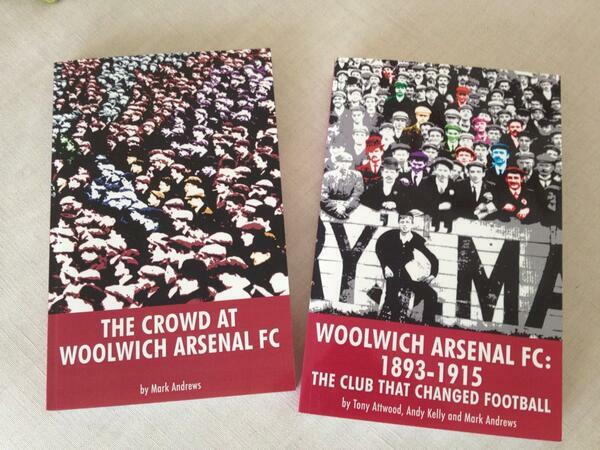 It was a joy to read about Arsenal’s history. One would expect Tottenham to slight our history because for years they have been telling their fans how they have been hard done by due to Arsenal’s alleged underhand tactics. It probably all stems from envy. At the end of the day who cares what they think. Arsenal has a long and successful history for which we Gooners should be proud of. Glad you got the Gunflash’s alright Andy!! !